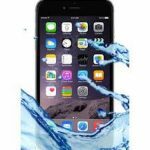 How to fix my iPhone in London is a common phrase of our thousands of customers. iPhone X has sort of created a huge buzz because of its virtual reality and amazing dimensions and apps. Similarly, the previous models have already received updates to cater huge fan following of such a big brand. However, the screen replacement or repair can be easily fixed once you contact us. We are the most trusted outlet for phone repairs in London. 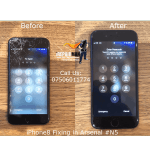 iPhone screen replacement in London is also a tough job if you’re not sure about the repairing team and staff’s credibility. But, the initial care is something you’ve to do it on your own. Here are our most trusted tips to take care of your iPhone immediately. That’s something to use only if you know how to apply it to the iPhone first. Your toothpaste can easily remove the scratches or at least hide them a little. But don’t apply too much as you don’t want to soak your phone into the paste. Just take an old toothbrush, apply the paste on it and then rub it on the scratches. You’ll see that they’re no more. But, technically they are there if they are huge. If the screen is shattered then you need professional assistance, but minor scars will be taken care of the toothpaste itself. Just cover the ear jack, chagrining area, and camera before you start using this tip. Once again, a little bit of DIY tip to save your iPhone is here. Your home-based vegetable oil is a perfect hide for any ugly scratch that may be bothering you. But, you don’t have to let your phone swim into the oil. Just use it nicely and only a little bit on the scratch area itself and leave it to assemble itself. You’ll need to redo this tip again and again as oil may get removed-off completely. However, getting the new screen is the only option if the screen needs to be replaced. Sandpaper can get the small scratch to sand away with a little help from you. But, don’t overdo the tip as it may also vanish your screen completely. You don’t have to rub it over the scratch too hard. Just lightly rub the sandpaper on the scratch if it’s a small one. In case you find a huge dent or screen to be fully crashed – immediately go to the repair shop to get your phone fixed. Never worsen the damaged condition of your phone if you’re not sure about any DIY home phone repairing. Plastic bags won’t do much with helping your broken screen but will hold off the situation till you get your phone to an expert repair person. The bag should be clean before you put your phone in it. You also don’t need to use a huge big plastic bag to stow the contents. A medium size will do. We don’t want you to lose your phone completely, but these tips are a small help till you get to the nearest repair expert in your area. Being careful is the last tip with your phone if you need to get it fixed.